The crew continued more biomedical studies today so scientists can learn how long-term missions affect humans in space. The International Space Station residents also reviewed procedures for a pair of upcoming spacewalks and conducted an emergency training session. Commander Scott Kelly joined his fellow One-Year crew member Mikhail Kornienko and Japanese astronaut Kimiya Yui for vision tests and blood pressure checks as part of the Ocular Health study. That study, which has been ongoing since March 2013, observes the visual changes, vascular changes, and central nervous system changes that occur in crew members while living in space. Kornienko also joined his fellow cosmonauts Sergey Volkov and Oleg Kononenko for heart evaluations while riding an exercise bicycle. They also explored crew motion disturbances in space and remote control of a robot from a spacecraft to the ground. 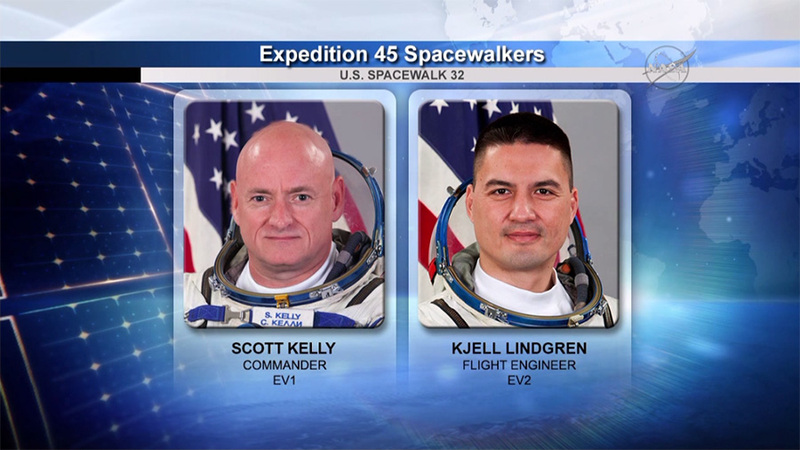 Kelly and Flight Engineer Kjell Lindgren are gearing up for a pair of spacewalks on Oct. 28 and Nov. 6. The duo joined Yui, who will choreograph the spacewalks from inside the station, for procedure reviews and a conference with specialists on the ground. On the first spacewalk, Kelly and Lindgren will service the Canadarm2, route power cables and place a thermal shroud over the Alpha Magnetic Spectrometer. During the second spacewalk, the pair will return the port truss cooling system back to its original configuration after repair work completed back in 2012.